The base of an altar now obscures all but one side of this indent of an incised slab/ Aligned North/South with a marginal inscription in Lombardic caps. in medieval French. 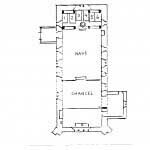 Arrangement of ledgers along W. end and rough edges suggests that all 6 ledgers in this church were moved from their original positions when the church floors were tiled in 1879. 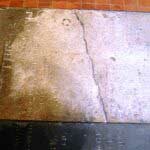 The slab was fully visible and recorded by J.W. 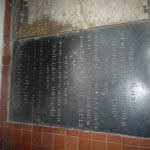 Bloe for the RCHM in 1913 who copied the legible parts of the reeved inscription. 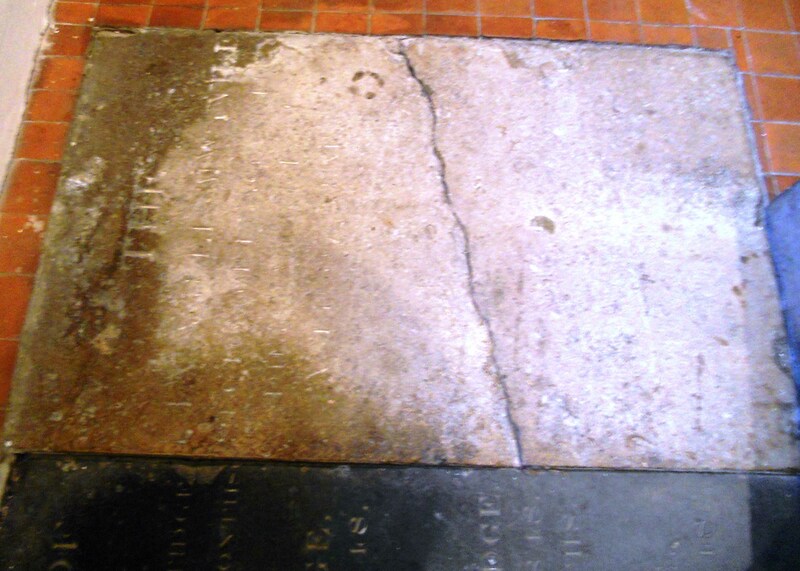 The photograph is of the small area still visible to the East of the stone altar which was installed in the 20th c.
A black stone floor slab with an achievement of arms with esquire’s helm and mantling in relief above the inscription which is incised in two sizes of Roman caps. A black marble floor slab with the inscription V-cut in several sizes of Roman and sloped Roman caps. 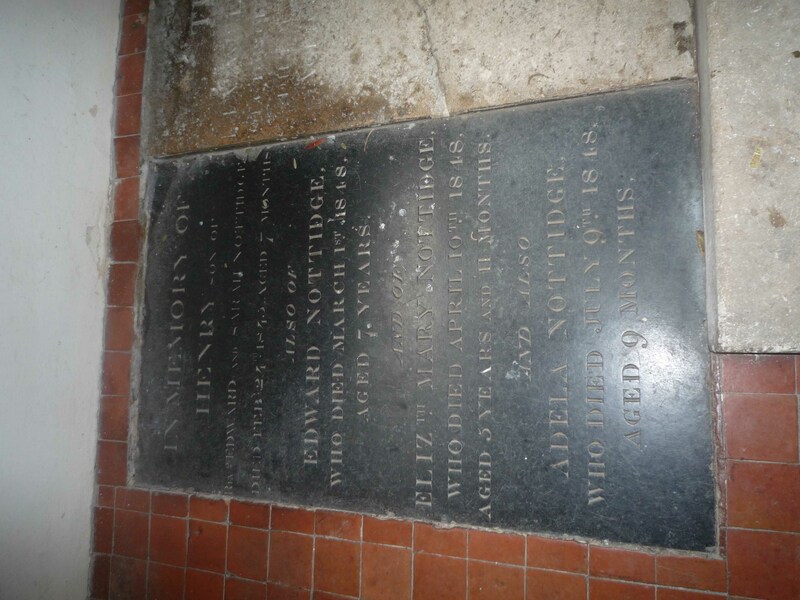 DIED FEBY 24TH 1843. AGED 7 MONTHS. This is probably a vault cover but not in original position. 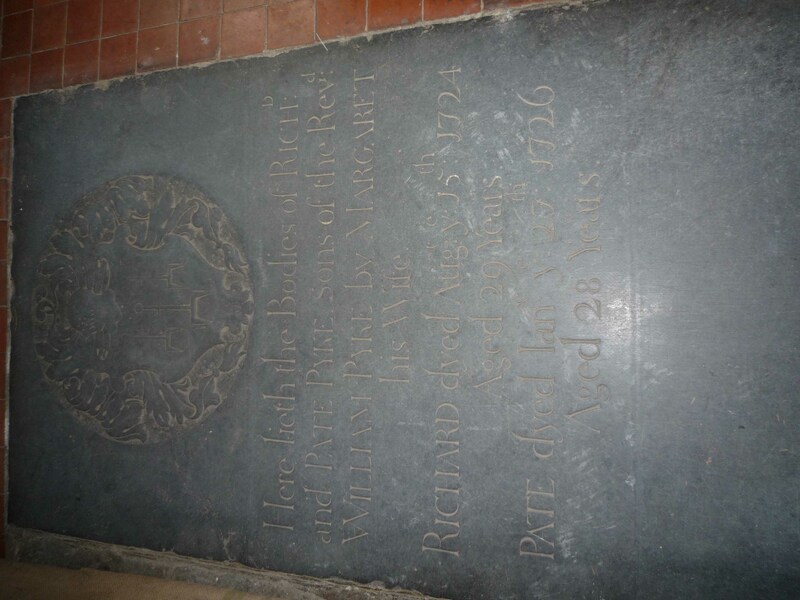 Dom: 1722 Aged 60 Years. 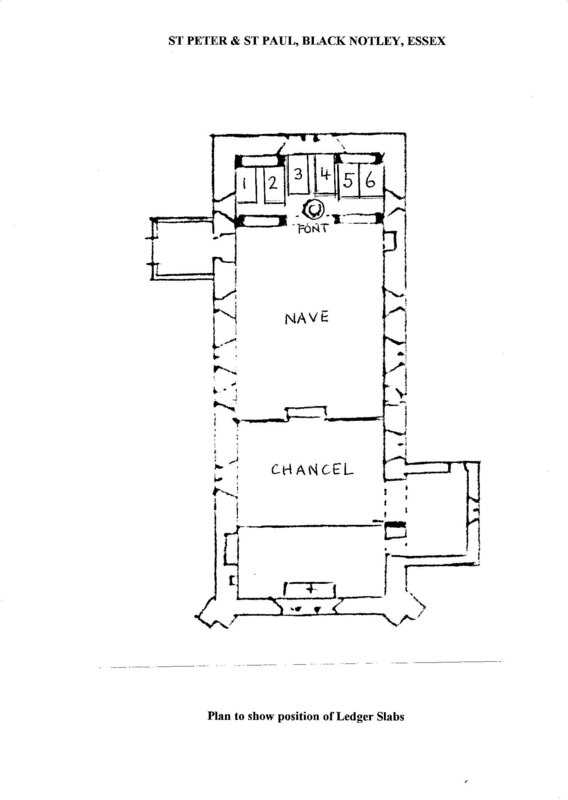 5th Anno Dom: 1733. Aged 76 Years. They had Iſsue 3 Sons, WILLIAM. 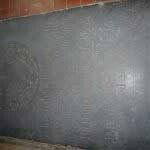 A pocked grey stone slab with the inscription incised in 3 sizes of Roman cps. COUNTY ESQR WHO DYED FEB.
Charity boards in church record James Coker’s benefactions.